1955 SHOULDER TO SHOULDER (SIDE BY SIDE) orig. 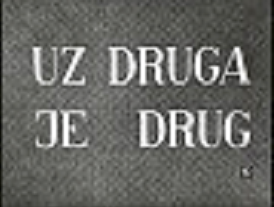 UZ DRUGA JE DRUG Documentary. Production: Zastava Film. Film direction: Aleksandar Petrović and Vicko Raspor. 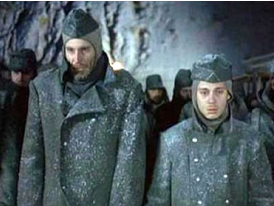 Screenwriting: Nusret Seferović, Vicko Raspor. 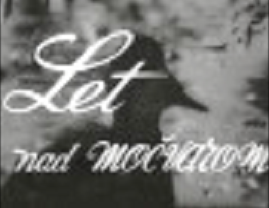 1956-57 FLIGHT OVER THE SWAMP (LET NAD MOČVAROM) Short film. Screen-writing: Aleksandar Petrović, Vicko Raspor, direction and music choice Aleksandar Petrović. Production: Slavija Film. 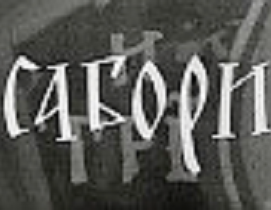 1957 PETAR DOBROVIĆ Short film. Production: Zagreb film, Zagreb. Original screenplay: Miroslav Krleža, direction: Aleksandar Petrović. 1958 THE ONLY EXIT (JEDINI IZLAZ) Production: Zastava Film. Direction: Aleksandar Petrović, Vicko Raspor. Screenplay: Antonije Isaković, Stjepan Zaninović, music: Ivo Tijardović. 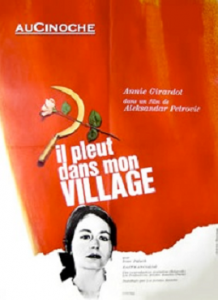 1958 THE ROADS (PUTEVI) Short film. Production Avala Film. Author, screenplay, direction: Aleksandar Petrović. 1960 THE WAR ON WAR (WAR AGAINST THE WAR) orig. 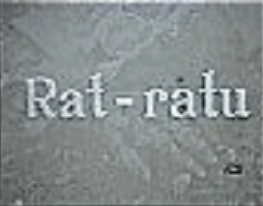 RAT RATU Short film. Production Avala Film. Screenplay: Nusret Seferović, direction : Aleksandar Petrović. 1961 WHEN LOVE HAS GONE (TWO) orig. DVOJE Production Avala Film. Author, original screenplay, choice of music and direction: Aleksandar Petrović. 1963 THE DAYS (DANI) Production Avala Film. Screenplay: Aleksandar Petrović, Bora Ćosić, Dusan Matić, Dusan Stojanović. Direction: Aleksandar Petrović. 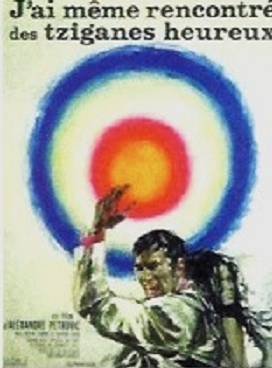 1964 THE RECORD (THE DATA) orig. 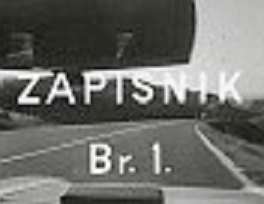 ZAPISNIK Short film. Production Dunav film, Beograd. Original screenplay, choice of music and direction: Aleksandar Petrović. 1965 ASSEMLIES (FAIRS) orig. SABORI Short film. Production Dunav film, Beograd. Original screenplay, choice of music and direction: Aleksandar Petrović. 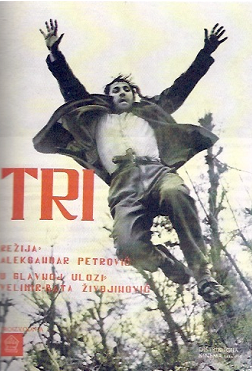 1965 THREE (TRI) Production Avala Film. 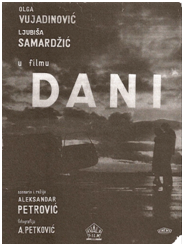 Screenplay: Aleksandar Petrović and Antonije Isaković, based on the tales from the Yugoslav writer Antonije Isaković. Choice of music and direction: Aleksandar Petrović. 1967 I EVEN MET HAPPY GYPSIES (SKUPLJACI PERJA) Production Avala Film. 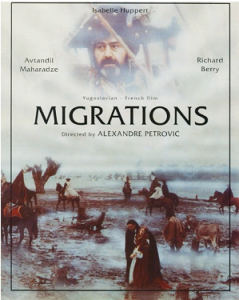 Original screenplay, choice of music and direction: Aleksandar Petrović. 1968 IT RAINS IN MY VILLAGE- THE END OF THE WORLD IS NEAR, LET IT END IT WON’T BE A PITY (BIĆE SKORO PROPAST SVETA NEK PROPADNE NIJE ŠTETA) Original screenplay, choice of music and direction: Aleksandar Petrović. Co-production: Avala film Beograd, Les Productions Artistes Associés S.A. Paris. 1972 THE MASTER AND MARGARITA (IL MAESTRO E MARGHERITA) orig. MAJSTOR I MARGARITA after the Russian writer Mikhail Bulgakov’s book. Direction, screenplay in collaboration with Barbara Alberti and Amedeo Pagani, choice of music: Aleksandar Petrović. 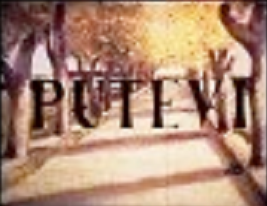 Co-production: Dunav film Beograd, Euro International Film S.P.A., Rome. 1977 GROUP PORTRAIT WITH LADY (GRUPNI PORTRET SA DAMOM) orig. GRUPPENBILD MIT DAME after the German Nobel Prize writer Heinrich Böll. Screenplay Aleksandar Petrović in collaboration with Jürgen Kolbe. Direction, choice of music : Aleksandar Petrović. Co-production: Stella-Film München, Artistes Associés Paris, Cinèma 77 Betelinguns GMBH & Co., 4 Produktions KG, ZDH, MAINZ. 1981 THE FALCON (BANOVIĆ STRAHINJA) Original screenplay – Co-production: Jadran Film, Zagreb, CFS Košutnjak –OOUR Avala film, Beograd, R. von Hirschberger /R. Kalmowitz Filmproduk OHG – Neue Tele-Contact Filmproduktion, München; FRZ, Zagreb, Avala pro-film, Beograd i Zvezda film, Novi Sad. Screenplay: Aleksandar Petrović, Vatroslav Mimica, Direction: Vatroslav Mimica. 1989-1994 MIGRATIONS (SEOBE) after the Serbian writer Milos Tsernianski’s book Seobe. 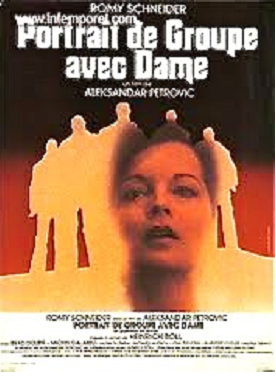 Screenplay: Aleksandar Petrović in collaboration with Jacques Doniol-Valcroze. Direction: Aleksandar Petrović. 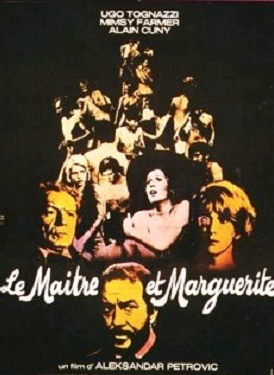 Co-production: Radio Televizija Srbije, Méditerranée Cinéma, Obadia BAMC Paris.